I keep waiting to feel sad, but it’s just not happening. My friends who’ve already done this warned me that I’d be sad. I’ll cry, they cautioned, it will take awhile to get used to the change. The latter part is true for sure, but not in a negative way. I’m chronically squeezing out too much shampoo and then too much conditioner. As someone raised as a Lutheran Scot in the Midwest, I definitely feel guilty about that waste, but not sad. A week and a one-half ago, I cut off twelve inches of hair which I donated to the Pantene Beautiful Lengths Program. This program’s mission is to provide wigs to women who lose their hair due to cancer treatments. (I considered donating to Locks of Love, which makes wigs for children. However, most LoL recipients suffer from alopecia and cancer is a more personal cause for me and my family. I looked into both organizations and both are solid causes.) The last time my hair was this short, I still had baby teeth and Mr. Reagan was clamoring for Mr. Gorbachev to “tear down that wall.” It’s clearly been awhile. I did maintain enough length that my hair is roughly at my shoulders and I can pull it back into a perky (short) little ponytail. Still, it feels kind of crazy. I reach back to touch it all the time, to make sure it’s there, but it’s also not all there. 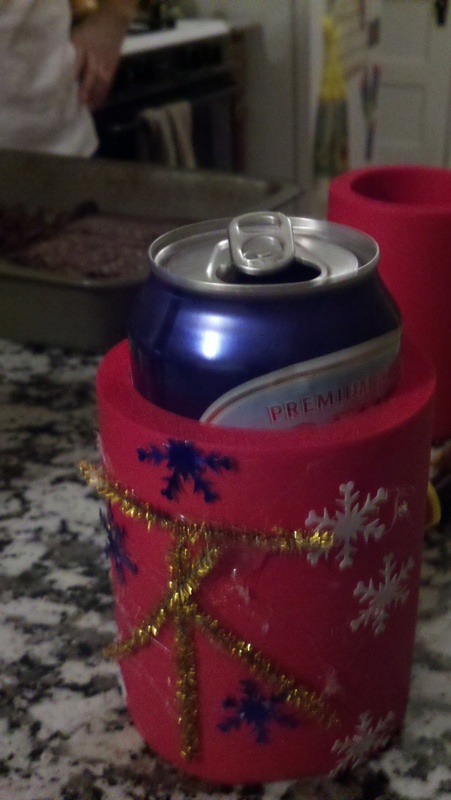 Big Flats Beer in a Festive Coozy...MADE WITH LOVE! When my friend Suzy read an article about Walgreens adding a store brand beer, she knew two things: she would be trying it and she would be alerting me, so we would try it together. My friend Suzy is clearly brilliant – working towards her Ph.D. at a top institution, obviously. We are (usually) lucky to live in an area where alcohol is easily and readily available to people of legal drinking age. Seriously, The Target sells The Spirits, so a person could hypothetically add a couple of handles of Smirnoff and a few suitcases of Bud Light to a Club Wed registry. Thus, our local Walgreens is one of the many licensed to sell beer, including Big Flats. At a pre-tax price of $2.99, we licensed ourselves to buy. Actually, that is an untruth. Suzy and another friend, Pete-ah bought the beer; I brought brownies I made from a box and craft supplies. Crafting is a panacea of sorts, so it seemed like a good idea to have at the ready since we were a bit skeptical about chain-pharmacy beer. 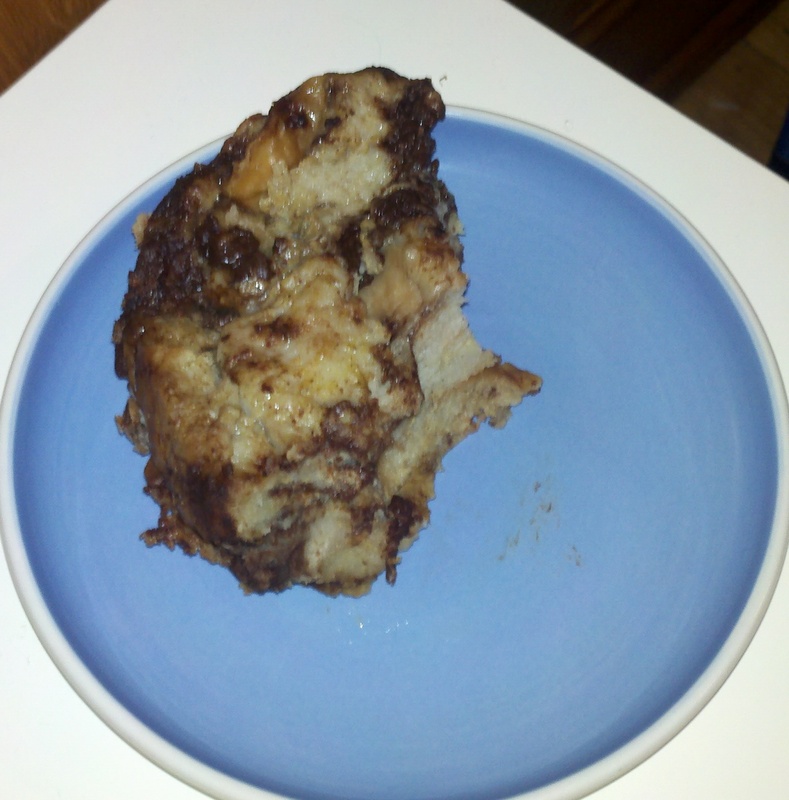 A couple of weeks ago, I made a sweet bread pudding in my mid-sized crockpot. 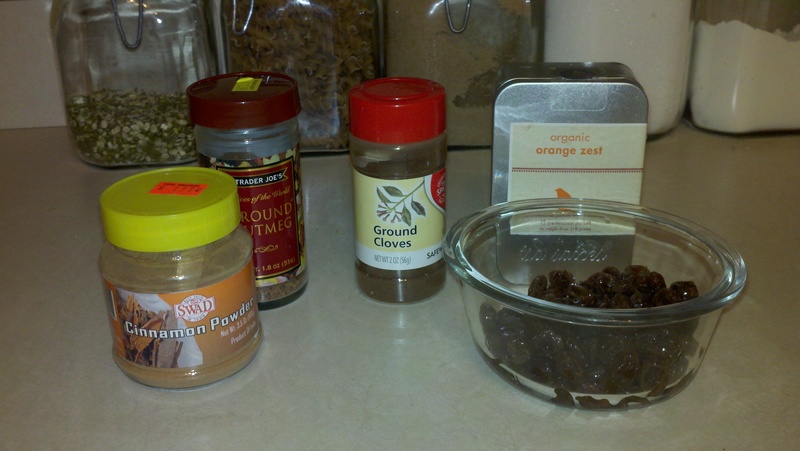 One of my friends (Suzy) was aghast that I didn’t include raisins. I tried to explain to her that I did not include them because I don’t much like raisins in my baked goods* and I do like chocolate in my baked goods and, well, since I was the one making the baked good, I GOT MY WAY. Some people just have very little sense. Those same people also don’t always want to hear it. It’s important to have goals in life. I think having goals – and working towards them – can be more important than the details of what the actual goals are. Last April, I decided I needed a goal. I also needed more fun in my life. I married the two and created a FUN GOAL for myself, which I christened “Brewery Tourery, Ten in ’10” as it involved going on ten tours of beer breweries before 2010 ended. It was tight, but I made it. Several of my friends went on brewery tours as well; some even joined me more than once. I’ve been asked by a few people what my goal is going to be for this year. I’m still a fan of increasing the fun in my life, so 2011’s quest needs to be supportive of that. In 2011, I am going to watch eleven sports/competitions of some physical/athletic nature and then either play or try some aspect of the skill or sport – possibly adapted for practicality or increased fun. For example, I could go to the roller derby and then roller skating (ala my seventh birthday party) or to a basketball game and then hit a court at the local park with some friends. Each sport only counts once, but I am counting any level – i.e. for baseball I could go to a Little League game or an MLB game. I’m not exactly sure what compelled me to make bread pudding, but the need was strong. I’m not even a huge fan of bread pudding and I lack any emotional attachment to it. Growing up, we rarely had it as my mother classified it as soggy, old bread. That is a true statement, except you then cook – or crock – the soggy, old bread. Conveniently, I had a little over one-third of a baguette left over from earlier in the week. Completely stale, bread pudding or bread crumbs were probably the only practical purposes for it. If you are keeping track, that’s two nana points: one for bread pudding and one for salvaging old bread.